**8 (6 oz.) 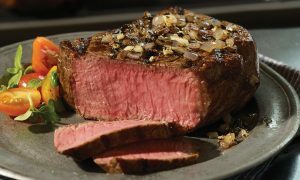 Top Sirloins + Seasoning from omahasteaks. Price: $79.99. Discount: $73.96. Categories: Food, Meal, Meat, Sirloins. Deal Rating: 5 Stars out of 5. Store Rating: 5 Stars out of 5. Deal Recommendation: Recommended. Available Until: Limited Quantity. Thoughts: Clearance – 8 (6 oz.) Top Sirloins + Seasoning. Deal Score: 85 out of 100.